PALM GROVE CONDO is located at 19 - 23 PALM GROVE AVENUE in district 19 (Hougang, Sengkang) of Singapore. 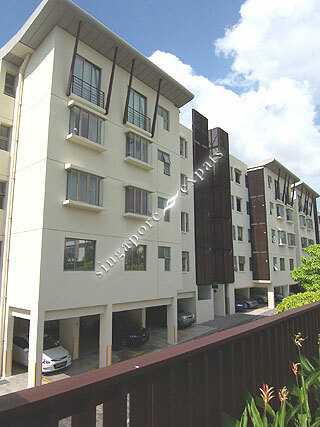 PALM GROVE CONDO is a 999-year Leasehold Condo development consisting of 111 units. PALM GROVE CONDO is completed / TOP in 2002 (estimated), developed by CAPITALAND. Educational institutions like HILLSIDE WORLD ACADEMY, DPS INTERNATIONAL SCHOOL, LYCEE FRANCAIS DE SINGAPOUR, ZHONGHUA PRIMARY SCHOOL, PAYA LEBAR METHODIST GIRLS' SCHOOL (PRIMARY) and XINGHUA PRIMARY SCHOOL are near to PALM GROVE CONDO. PALM GROVE CONDO is accessible via nearby KOVAN, SERANGOON and LORONG CHUAN MRT Stations. Very nice and peaceful living. A hidden gem in the heart of Kovan. Resort like ambience. Seeing is believing!